"In our individual study and classroom instruction, we repeatedly emphasize the importance of recognizing the inspiration and promptings we receive from the Spirit of the Lord. And such an approach is correct and useful. We should seek diligently to recognize and respond to promptings as they come to us. However, an important aspect of baptism by the Spirit may frequently be overlooked in our spiritual development. 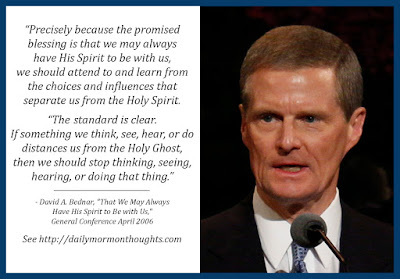 "We should also endeavor to discern when we 'withdraw [ourselves] from the Spirit of the Lord, that it may have no place in [us] to guide [us] in wisdom’s paths that [we] may be blessed, prospered, and preserved' (Mosiah 2:36). Precisely because the promised blessing is that we may always have His Spirit to be with us, we should attend to and learn from the choices and influences that separate us from the Holy Spirit. 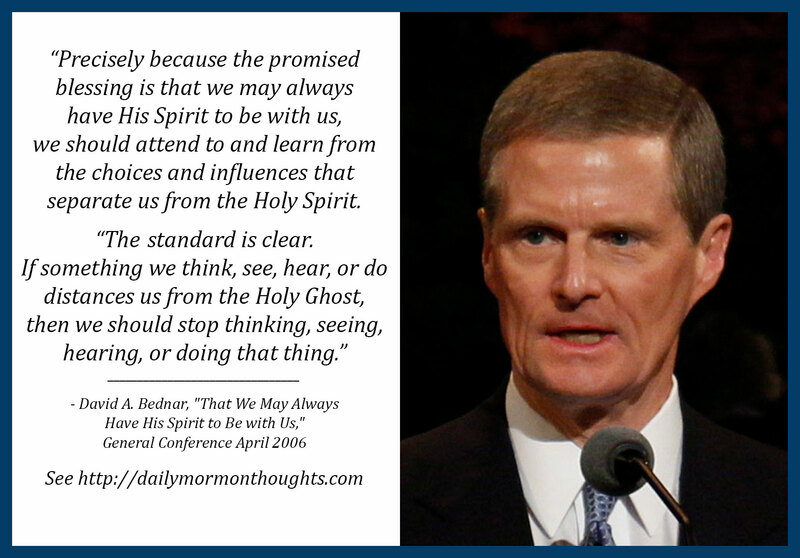 "The standard is clear. If something we think, see, hear, or do distances us from the Holy Ghost, then we should stop thinking, seeing, hearing, or doing that thing. If that which is intended to entertain, for example, alienates us from the Holy Spirit, then certainly that type of entertainment is not for us. Because the Spirit cannot abide that which is vulgar, crude, or immodest, then clearly such things are not for us. Because we estrange the Spirit of the Lord when we engage in activities we know we should shun, then such things definitely are not for us." 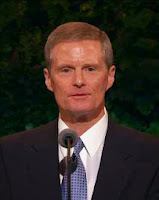 The corollary, as Elder Bednar instructs, would be to be alert enough to notice quickly when the spirit of revelation declines or disappears from our minds and lives. As we become more sensitive and more observant to spiritual promptings, we can more easily "fine-tune" our actions to increase the spiritual influence we receive.